Mahalo to Hawaiʻi Electric Light Volunteers! "A child's path is inspired by the people and communities they engage." Everyday Hawai'i Island children go unsupervised after school. Many are left unattended at home until adults return from the workday. Nationally, the hours after school, from 2pm to 6pm are when juvenile crime escalates. 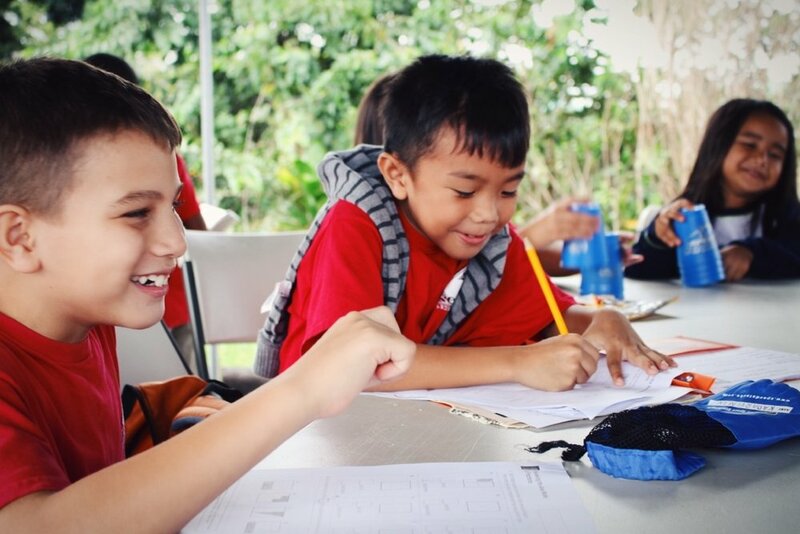 Boys & Girls Club of the Big Island offers children throughout Hawaii Island a fun, safe and supervised place after school to be engaged, to learn and to grow. We offer daily homework support, enrichment and wellness programming, recreational physical activity, out-of-school educational classes, and daily nutritional supplementation. All for $10 a year. We provide this needed service for the community, affording parents the extra hours for work that allow them to support their families. We help to lay the foundations that emphasize the promotion of diversity, the teaching of positive values, the importance of education and career exploration, and the opportunities to enhance life skills. This cannot happen alone, it takes a community to support the development of a child. Work with kids directly through homework assistance, reading enhancement, activities in the area of gardening, art, sports, recreational play, or help indirectly by cooking a meal for the kids or maintaining one of our play fields. Volunteer opportunities in Hilo, Kea'au, Pahoa, Pahala and Ocean View: there are so many ways to get involved. 99% of the funding need to provide the daily youth services we offer come from the fundraising and donation efforts of our community. You are making the difference! Please consider donating today for a better tomorrow.